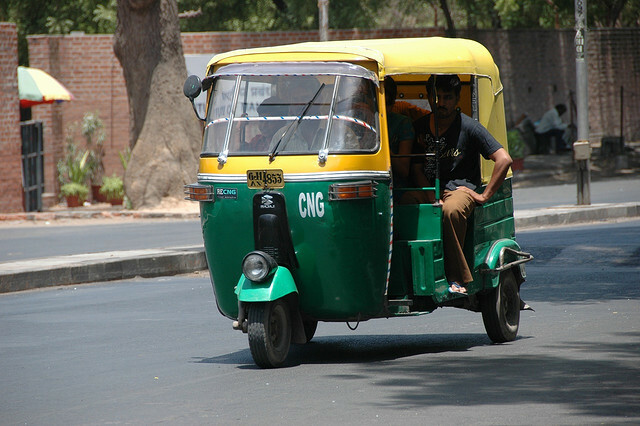 G-Auto is an innovative auto rickshaw service started in Ahmedabad, India. G-Auto works to organize auto rickshaw drivers under a social umbrella, which provides safety and comfort to passengers, as well as income and job satisfaction to drivers. The service was started by Nirmal Foundation, a public charitable trust that works in the development sector. Nirmal Kumar, an MBA graduate from the Indian Institute of Management, Ahmedabad (IIMA), is the founder and chairman of Nirmal Foundation. We asked Nirmal Kumar a few questions to understand the inspiration behind G-Auto and the improvements it has brought to Ahmedabad’s transport sector. What is G-Auto service? When did it start and in which cities? To make auto drivers aware and responsible citizens. How is G-Auto service unique or different from the usual auto rickshaw service in Indian cities? What kind of support did you receive from the local and state governments to start your service? Law and order implementing agencies of state government had major roles to play in this project. Since there are several stakeholders, including multiple unions, mafia, politicians, police etc, there are always chances that they will try to subvert our endeavors of organizing the most unorganized segment. Hence, we needed frequent support from state government administration to safeguard the interest of the project. How did you work with the driver community to start your service? We directly got in touch with auto rickshaw drivers and educated them about benefits of the project for drivers and passengers. We also explained the terms and conditions for a driver to be associated and remain with the project. Interested people report to our office and join us. How has G-Auto service improved the quality of service for Ahmedabad’s commuters? It has helped Ahmedabad in improving the auto rickshaw service by giving options of reliable and safe service to people of the city. It has changed the perception about auto rickshaws. Our services, such as the Any Time Rickshaw (ATR) program, Airport Express and Tourist Express, have made people use more auto rickshaws due to easy availability of the service. Receipts for auto rickshaws and 24/7 call center support have brought more transparency and reliability in the use of auto rickshaws. An organized way of offering the service under a common brand name has developed the sense of safety in the mind of commuters. Does the service cater to passengers with special needs, such as the elderly and people with disabilities? If so, how? Yes, we give special training to G-Pilots for special care to senior citizens, children, ladies and the disabled. How has the situation improved for drivers from G-Auto service? The situation for drivers has improved in multiple ways. There has been a substantial increment in income due to on-phone business availability and more preference from passengers. There has been additional revenue from the telephone facility, as well as the retailing of newspapers, magazines and mobile recharging facilities. Drivers can now obtain social security, such as Mediclaim and cash-free treatment up to 50,000 rupees (US$1,000). They also get insurance of up to 200,000 rupees (US$4,000) and a pension plan. Drivers have become financially inclusive through the ZERO balance bank account facility and the credit facility from the nationalized bank to purchase auto rickshaws. Also, drivers now receive educational allowance for children’s education. What are your plans for future growth? We have very aggressive plans for future growth. We would like to expand the project to all “A” class cities of Gujarat. We would like to make it as successful as the 108 service, which includes taking the G-Auto brand across the country and to reach out to more than 1 lakh (100,000) auto rickshaw drivers with G-Auto in the next decade. We would like to provide special stands for G-Autos in important transit hubs, such as bus terminals, railway station and airports. We want to start a feeder service similar to the high quality Janmarg bus rapid transit system (BRTS) of Ahmedabad. We also want to provide affordable (economical and healthy) meals for auto rickshaw drivers. What can other cities in India learn from your service to improve quality of urban transport services? If paratransit systems like auto rickshaws are not managed properly, it becomes a liability for any city, which begets crime in several forms. However, if it is managed properly, there are no better brand ambassadors of the city than auto rickshaw drivers. Hence, there is a dire need to work with and for auto rickshaw drivers to make them professional, responsible and aware citizens.